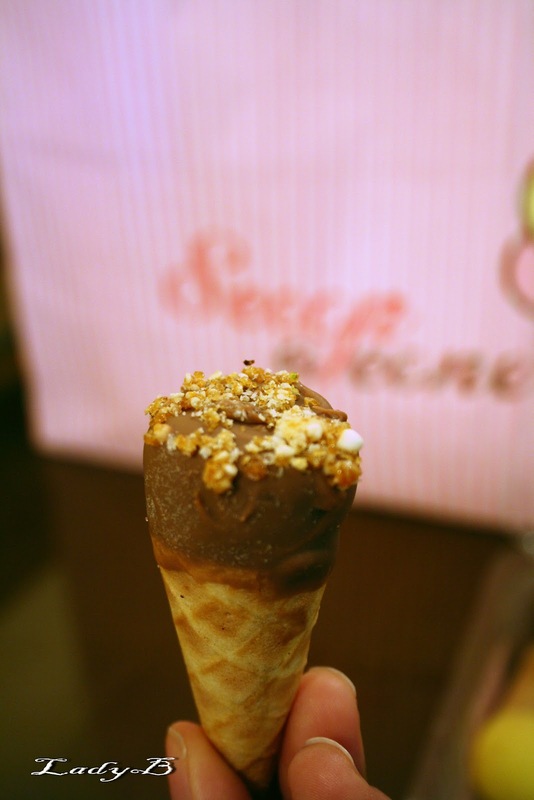 Weekly Sugar OD : Scoop A Cone ! Scoop a Cone were kind enough to send me throughout the last week of Ramadhan some yummy treats which I've kept for our gathering to enjoy with the rest of the family.. 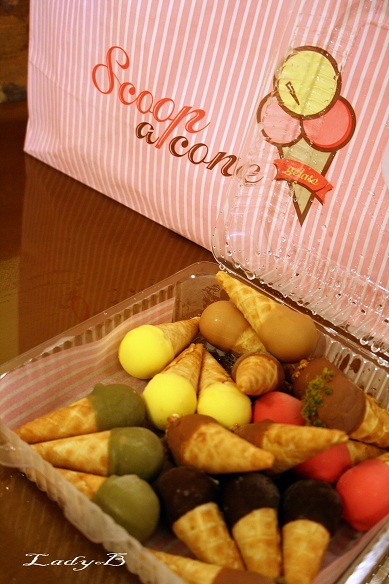 The package inluded, lollies, bon bons and mini dipped cones.. 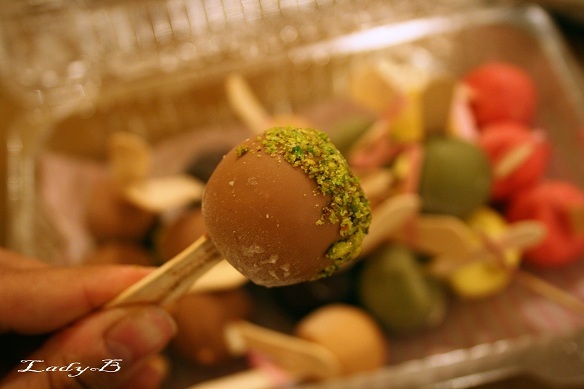 The bon bons were my favourites, they remind of KDD old school bonbons which we used to eat everyday .. 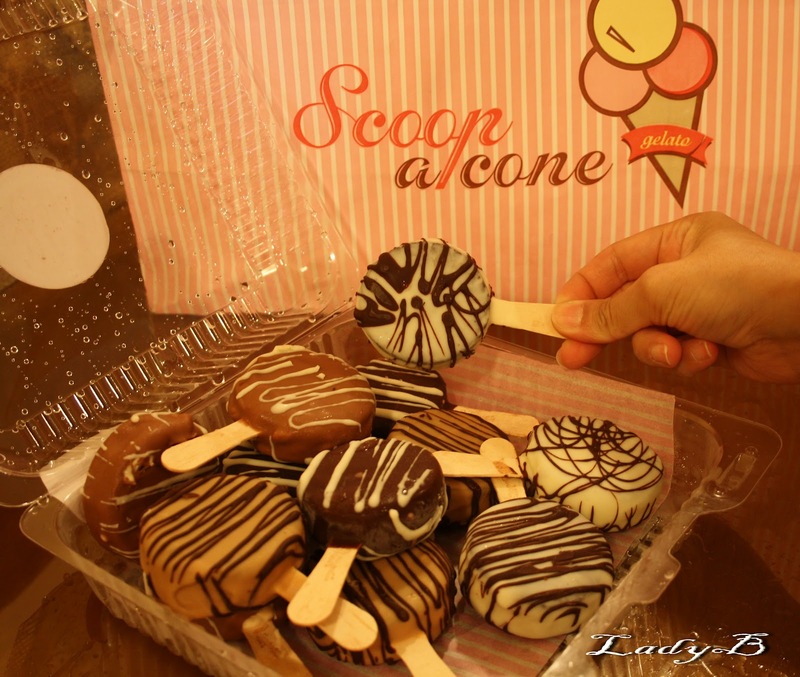 The size of the dipped cones was very convenient, especially that the gathering was filled with kids hungry for sugar ! 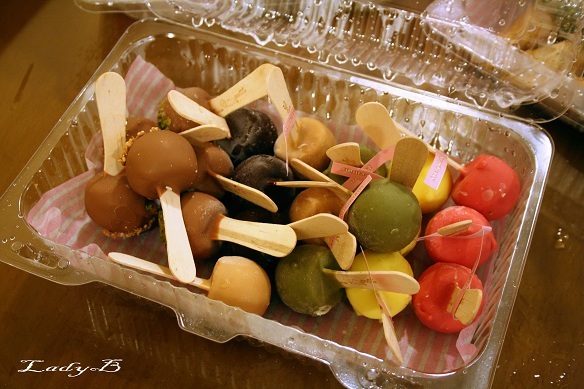 Thoes lollies were bigger than the other treats, they varied from chocolate, cookies and cream, hazelnut and swissroll.. I only tried the cookies n' cream which had oreo cookies in them, the boxes were empty in no time since the kids did an excellent job devouring them ! Thanks alot Scoop a Cone for the Sugar OD it sure came in the right time !